When you think of Venture Capital, you think of investors simply putting money into businesses to generate a higher than normal return. Yes, profit is definitely the primary motive of a Venture Capitalist, however Venture Capital as such has a much bigger role in the world order today. Creating a Level Playing Field – If it wasn’t for Venture Capital, the balance in the world would further get skewed. The rich would get richer as they would be the only ones who could build big businesses. People with great ideas but no money would not be able to create businesses to compete with the bigger companies. Creating Businesses & Jobs – Without risk capital, business growth would be limited and hence job creation would be much slower than what we see today. 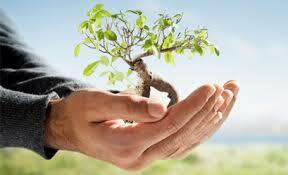 Improving Human Life – A sustainable business is one which helps solve a problem. Venture capital tries to identify such businesses and helps them grow, thereby solving real life problems faced by us and hence improving overall human life.